Last week’s game against the Mavericks felt good. The Jazz certainly didn’t have their best game in history. They struggled with certain aspects of the game, especially free-throw shooting, but their victory never really felt in doubt. This win seemed to instill a confidence back into the players and the fan base that this version of the Jazz can have success and do some pretty special things when they are playing their game. The Jazz donned their “Classic” Purple Jerseys for the first time this year and they did not disappoint. It was obvious that the Jazz organization and fans alike were excited to show off the new threads. Since I was a kid, purple has been my favorite color. Now I remember why. The “Classic Edition” jerseys somehow manage to give a nod to the historic past of the Jazz while simultaneously promising a bright (purple) future. The jerseys weren’t the only aspect of the game that resembled Jazz past, the play on the floor did the same. However, the past wasn’t so long ago. The first half of this game gave fans glimpses into the kind of suffocating defense that the Jazz are capable of and were so known for last year. The players fed off of each other’s energy and seemed to really play a Quin Snyder defense. The Mavericks did make a push in the second half, and to be honest the Jazz didn’t look quite as sharp. The intensity, however, did not decrease. The game turned chippy, the game turned physical, and while I hated how many foul shots were taken, I did love the intensity of the Jazz. At the beginning of the season I remember saying that win or lose, opponents are going to hate playing against the Jazz. So far this season, I haven’t seen as much of that attitude as I expected. But that night I saw it. The game got pretty heated with six technical fouls and one flagrant. The Mavericks were frustrated that they were losing. They were frustrated at the Jazz defense, and they responded with their own aggression. Hard-nosed defense, not backing down and having each other’s backs. Not only do I believe this will lead to more Jazz wins, but I also think it will make the hopefully few losses that the Jazz suffer more bearable. Remember: Apathy is the enemy of fandom. The Jazz released their schedule for each jersey at the beginning of the season. They may have to modify that schedule to include a few more “Classic” Jazz nights. I’m sure the fans will appreciate it. Listen to the show Sunday mornings from 9:00 – 10:00 AM MST on 1280 AM and 97.5 FM The Zone. 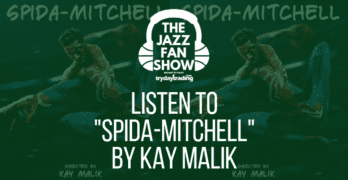 Thus, our goal has been to contact and bring together as many die-hard Utah Jazz fans as we can, and we’re having a great time doing it!